and which may be mentioned in Robert's seminars or presentations. Where to get them? 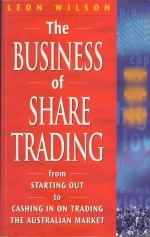 - Most of these books are normally available from the Educated Investor bookshop online. You can place orders on line, or by phone. Talk to Janene and ask her nicely for your 10% discount (just tell her that Robert Brain sent you). 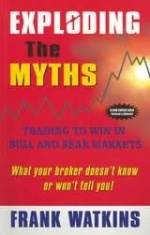 A great book that addresses some of the myths that are peddled by people in the finance industry. The most used myth is "It is time in the market that is important, not timing". Frank really blows this myth apart, and explains that "it is possible to time the market". And I have to add that many chartists and technical analysts would say the same - including yours truly. Frank goes on to explode some other famous myths, and provides some really good information. 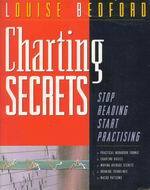 This book is a great read to help give all of us confidence that the art of charting does have a lot of merit. 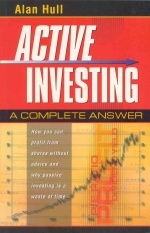 This is an all-time classic, published in 1988, and is still recommended reading for people starting out with charting. Martin publishes his updated copy of this book in about October each year, for the coming year. This study of fundamental analysis is somewhat like the first stage of Robert's 2-stage Funda-Technical Analysis, but taken to the next level of detail. 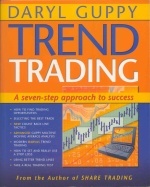 Daryl's classic text on trading trends is just one of his many books, and is an excellent one for the budding technical analyst. This book goes into detail discussing Guppy's Multiple Moving Average indicator (the GMMA), as well as his CountBack Line (CBL) technique for entry and exit, plus many more topics. It includes a running case study with in-built self-tests to test your developing knowledge as you work through the book. Louise Bedford has authored a number of books over the years. 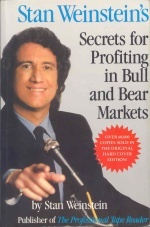 This one is a great introduction to the mysteries of candlesticks. Some comprehensive information about candlesticks included in the Toolbox here. Alan Hull is an old hand at investing in the share market, and runs a newsletter service based on some of his trading and investing strategies. This book is highly recommended for those who know something about technical analysis, and who are looking for a strategy. Nick firstly explains some of the basic ideas about momentum investing, strategies (and the importance of clearly defining your strategy), and portfolio construction. He also explains some possible strategies, and their possible pitfalls. The strategies mentioned include: New Yearly Highs; 100-day High; TrendPilot; Golden Cross; Moving Average Channel; TechTrader, Flipper; and the Bollinger Band Breakout. 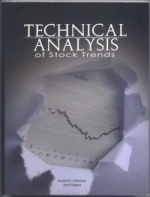 This is a great book which provides a good introduction to the topic of technical analysis. Includes: chart types, market cycle model, support/resistance, indicators and patterns. Louise believes there are a lot of secrets hiding in the charts. In this workbook she offers to explain the secrets of: basic charts, lines, volume, moving average, and chart and candle patterns. 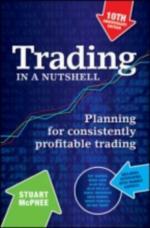 Trading in a Nutshell, 3rd Edition by Stuart McPhee provides the reader even more trading tips than the original of this book published in 2001 and the 2nd Edition published in 2005. 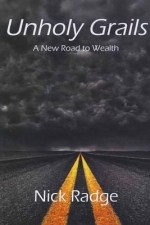 This new edition includes more information about preparing your mind for the mental rigours of trading as well as more guidance on how to develop your own trading plan that you will be able to implement with confidence. This is a great book to start looking at some of the detail of technical analysis indicators and strategies. In 614 pages, Leon talks about Primary Analysis (no indicators) and Secondary Analysis (using indicators), plus a whole lot more including trading and strategies. Leon also has a couple of other books. 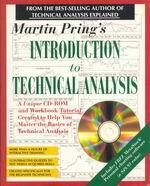 This is accepted as the bible of technical analysis. 484 pages, first published in 1948, and republished and reprinted a number of times over the years. Contains lots of great information about TA. Affectionately known as "Edwards and Magee". 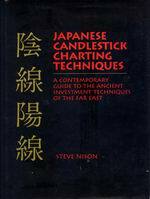 Steve Nison is often regarded as the person who picked up the centuries-old Japanese studies of candlestick charting and introduced it to western society. 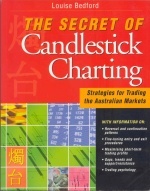 This big book is basically an encyclopedia of candlestick charting patterns, and its application in conjunction with a number of classical technical analysis concepts and indicators such as support and resistance, moving average, RSI, Stochastic, Momentum and OBV. The book covers shown here are the scanned cover images of books that Robert has purchased, or borrowed - with credit and acknowledgments to the respective copyright owners. 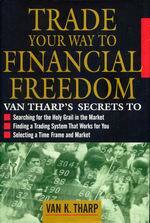 Van Tharp is very highly regarded in trading circles. Some of the gem topics in this book include: Position Size (methods and optimising, including the Percent Risk Model and the Two Percent Rule), Stop Loss methods (including ATR-based), and trading system metrics (eg. expectancy). This book covers a lot of trading topics including: judgmental biases (in chapter 2), developing a trading system, expectancy, risk and money management, trade setups, market timing, entry signals, taking profits, opportunity cost and position sizing. This well-known best-seller was published in 1960 by Lyle Stuart Inc (Kensington Publishing Corp), and re-printed several times. It contains information that most brokers would not want you to know about. 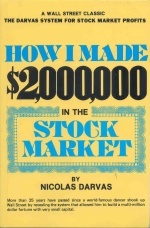 It includes graphic details of the methodology and approach that Nicolas Darvas followed over just a couple of years to make two million dollars in the market - all legit! strategy in Brainy's eBook (PDF) Articles (left hand column). Many of the experts say that making money in the markets is not easy, but that about 80% of the job is really down to emotions and psychology. And without a good handle on one's own emotions, it is likely to be difficult. 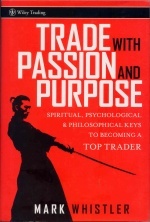 In this book, Mark talks extensively about many of the keys to becoming a top trader with a good understanding of how to be in control of our emotions, and our psychological well-being. Phil spent many years researching and writing about the real estate market in the US, covering property transactions and cycles since 1800. 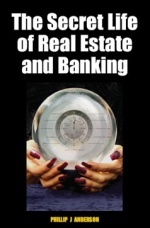 Phil took all his research and lecture notes and published them in this book that provides great insight into the property cycles, and the underlying reason why property prices move in cycles of between 17 and 21 years. 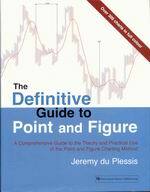 The sub-title on this book says it all: "A comprehensive guide to the theory and practical use of the Point and Figure charting method". This is a big book that explains how Jeremy transitioned from his training in engineering and as an economist to become a technical analyst, who founded Indexia Research in 1983, and developed PC-based software that utilises Point and Figure charting that is very popular today. Many technical analysts today use Point and Figure charts to easily spot trends, and identify potential market turning points. 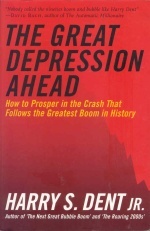 The Great Depression Ahead, Harry S Dent jr.
Harry wrote and published this text in late 2008, in anticipation of a great depression ahead (which at the time of updating this web page might still occur). Harry's studies and work over many years has looked at the huge range of cycles that are evident within society, and countries, and technologies, and in fact are everywhere. For anyone interested in understanding what sort of cycles are in existence, and how they have played out and affected our lives over the years, this text is a must. © Copyright 2010-2015, R.B.Brain - Consulting (ABN: 52 791 744 975). Last revised: 22 June, 2015.